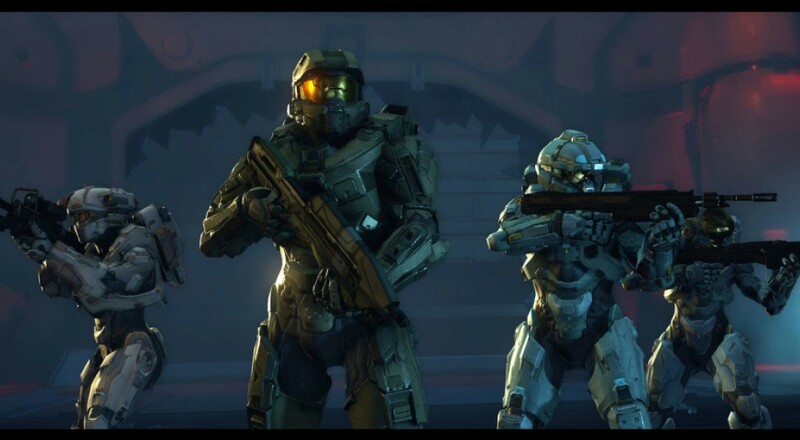 Rejected subtitles: "Chief and Pals," "MC and the Crew," "Spartan Ain't Easy." Master Chief and Friends didn't become Spartans just because they love wasting alien scum. Sure, that might be a perk, but it's not the guiding factor. The Dev's over at 343 want to explore a more human side of Chief and the other Spartans populating the world of Halo 5: Guardians. After all, a story about faceless supersoldiers flooding extraterrestrials with hot lead might be okay for a bit, but that'll fall flat without character development. 343 claims a reverence for Spartan mentality in their newest Dev Diary. What, exactly, happens when you recognize the fact that you are a weapon to be used against an enemy? Alright, so these folks take Halo and its story very seriously. And that's fine! It's refreshing to see a focus on character building and story instead of a trailer full of ships exploding and shrieking grunts getting a brain full of glowy purple bullets. The dual stories in the campaign (between the Chief and his forces and the new Fireteam Osiris) offer two distinct looks into the mindsets of all of these characters. Seeing as both teams have a full four-Spartan roster, hopefully Players 3 and 4 won't be controlling voiceless soldiers with literally zero interaction with the story.